Lightweight plastic poles are easy to install and very SAFE! Poles fit over tough ground stakes for ease of installation and removal. ALL ITEMS SOLD SEPARATE. SELECT IN LIST FOR EACH. 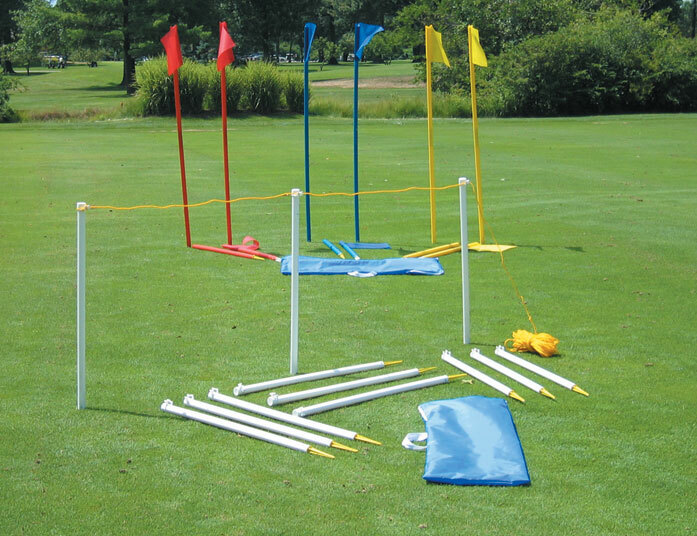 Finish Chute Set: Twelve 3ft. chute stakes, 150ft rope and storage bag. 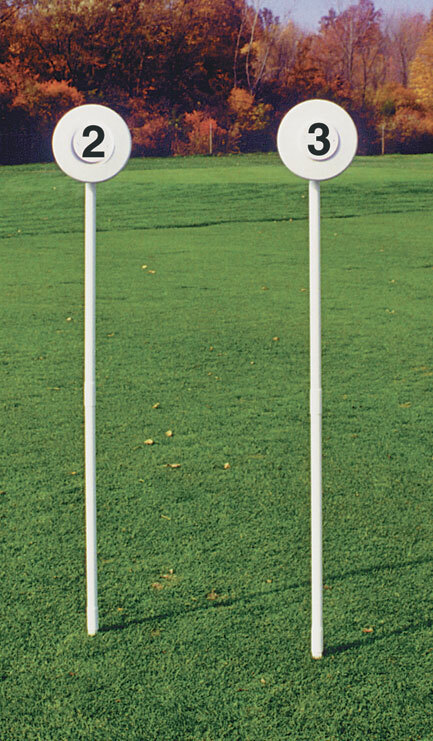 Mile Marker Signs - Discontinued. Directional Arrow Signs - Discontinued.